Have you ever had to miss out on a dinner date or a party because you know there won’t be enough (or maybe not even any) gluten free meal options? Or maybe you just know someone who’s gluten free, and you want to make sure they feel welcome when they’re invited over for dinner? The truth is, it’s a lot easier to make a gluten free meal, including gluten free side dishes, than you might think. 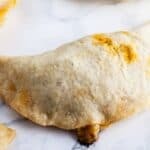 If you aren’t gluten free yourself, then you probably have a few questions about gluten, especially if you’re planning to go gluten-free or want to cook gluten free side dishes and other foods for your guests. You might ask questions like: what is gluten? What foods contain gluten, and how do you know if something has gluten in it? Don’t worry, we’ve done the legwork for you. We’ll start with the basics, like what foods are included in a gluten free diet, how to find gluten when reading labels (even with all of those tricky code words for hidden gluten), and why it’s important to offer gluten free choices for your guests. Then, we’ll share our favorite gluten free side dishes with you! Gluten, according to the Celiac Disease Foundation, is made up of the proteins found in wheat, barley, and rye. It’s like the “glue” that helps certain foods hold their shape. For example, gluten helps dough rise when baked! 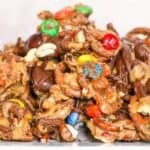 It’s found in many different foods, like bread, pasta, cereal, soup, beers and malts, sauces and even some salad dressings. Because gluten is everywhere, it can be hard to identify what foods contain gluten! Thankfully, there are also plenty of foods that don’t contain gluten. We’ll get to those soon so you can start preparing gluten free side dishes and other gluten free foods for your guests! Now that you know what gluten is, you might find yourself asking why people go gluten free. Gluten free diets are necessary for people with medical conditions such as gluten intolerance, especially the most serious version: celiac disease. According to the Celiac Disease Foundation, about 1 in 100 people around the world have celiac disease. Many people who have it go undiagnosed. Because celiac disease is an autoimmune disorder, it’s important that people who have it maintain a gluten free diet. So, what is a gluten free diet? A gluten-free diet consists of gluten free alternatives, like corn and cornmeal, gluten free flours made from rice, soy, corn, beans and potatoes, and naturally gluten free foods, like fruits, vegetables, eggs, and carefully processed meats, dairy, beans, nuts, oats, and seeds. Knowing what foods are naturally gluten free makes it easier for you to cook gluten free meals, including gluten free side dishes! What foods contain gluten, and how do I know if something has gluten in it? Food labels can be tricky. How do you know if something has gluten in it? What foods contain gluten? Any food that contains wheat flour, barley, rye, triticale, malt, brewer’s yeast, or wheat starch contains gluten. As you can see, the problem is that gluten goes by many names! There are many varieties of wheat and other ingredients that hide gluten. Read labels! Look out for durum, einkorn, emmer, kamut, spelt, semolina, wheatberries, farina, farro, and graham. These are the most common ingredients containing gluten that you’ll see on labels. If you’re ever not sure about an ingredient, it doesn’t hurt to look it up! The easiest way to avoid gluten is to familiarize yourself with the most common ingredients containing gluten on labels. Thankfully, most gluten free products are labeled as gluten free. Your local grocery store may even have a gluten free aisle. Why is it important to offer gluten free choices? Now you know what gluten is, what a gluten free diet consists of, and how to identify foods containing gluten. But why is it so important to offer gluten free choices? For people with celiac disease or non-celiac gluten sensitivity, even a small amount of gluten can make them very sick. Celiac disease is an autoimmune disorder that can cause permanent damage to the small intestine. 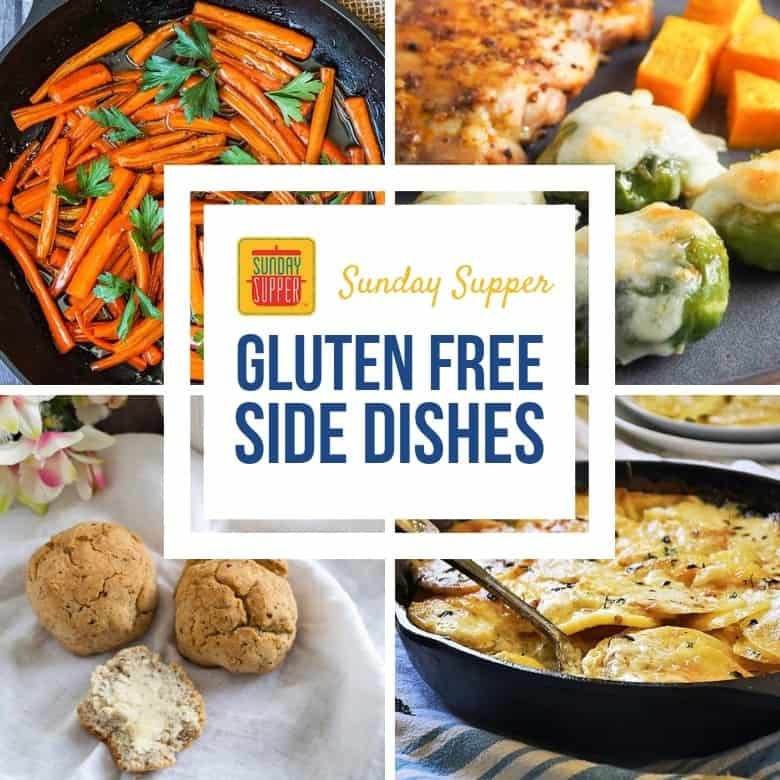 Needless to say, it’s important that your gluten-sensitive friends have gluten free options at the dinner table, like gluten free side dishes! 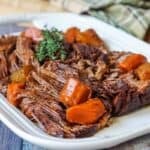 If you aren’t offering gluten free options when you host dinner, then your gluten free family and friends may feel left out. At worst, they run the risk of getting sick by eating food containing gluten. 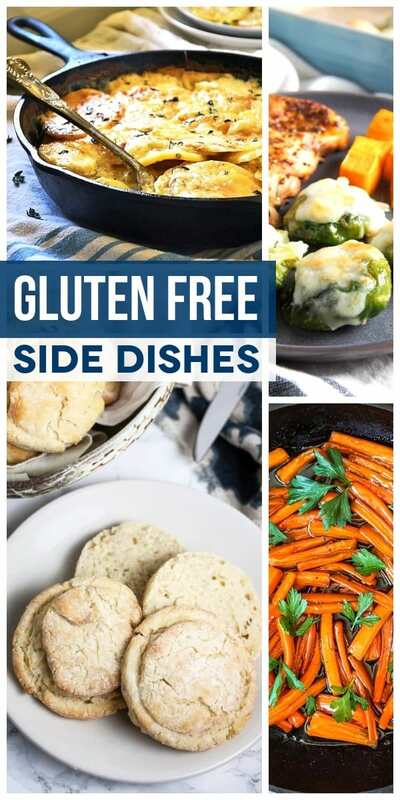 There are plenty of gluten free alternatives out there; in fact, it’s never been easier to offer gluten free choices, such as gluten free side dishes, for your guests! We’ve covered the basics on what gluten is, how to avoid gluten, and why to avoid gluten. 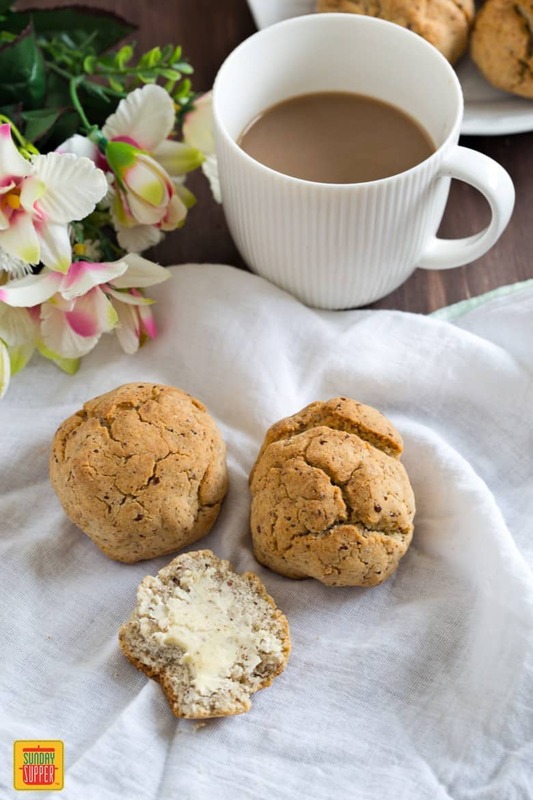 Here are more tips on how you can accommodate your gluten free dinner guests! Plan dinner with them: Let your gluten free guests in on your dinner plans. They know best what foods they can and can’t eat. If you involve your guests in planning the menu, they’ll not only be grateful for feeling included, they can also give you valuable tips on cooking gluten free foods. 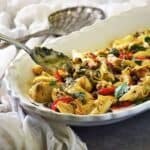 You can feel confident cooking gluten free meals with their advice! Use fresh ingredients instead of mixes: Unless a mix or sauce is labeled as gluten free, it’s much safer to use fresh ingredients when you’re cooking gluten free foods like gluten free side dishes. There are a lot of code names for gluten, so you’re better off safe than sorry. Clean and prep your gluten-free dishes separately: Cross-contamination is an issue when it comes to cooking gluten free meals. It’s easy to accidentally cross-contaminate your gluten free food if you’re preparing all of your dishes on the same surfaces and with the same utensils. Make sure you’re thoroughly cleaning all surfaces to avoid cross-contamination. Dish out to your gluten-free friends first: Your non-gluten free guests may not understand the importance of avoiding cross-contamination in gluten free dishes. Let your gluten free friends make their plates first just in case, even for the gluten free side dishes. Your gluten free dinner guests will appreciate the extra steps taken to offer gluten free options! 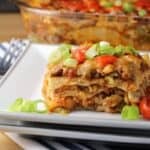 Need some ideas on what gluten free dishes to serve at your next dinner party? Below are some of our favorite gluten free side dishes that are perfect for special occasions and holidays! 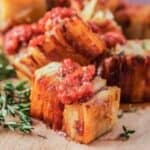 All of your guests, even those who are not on a gluten free diet, will love these gluten free side dishes. While you’re at it, take a look at this list of gluten-free holiday recipes! 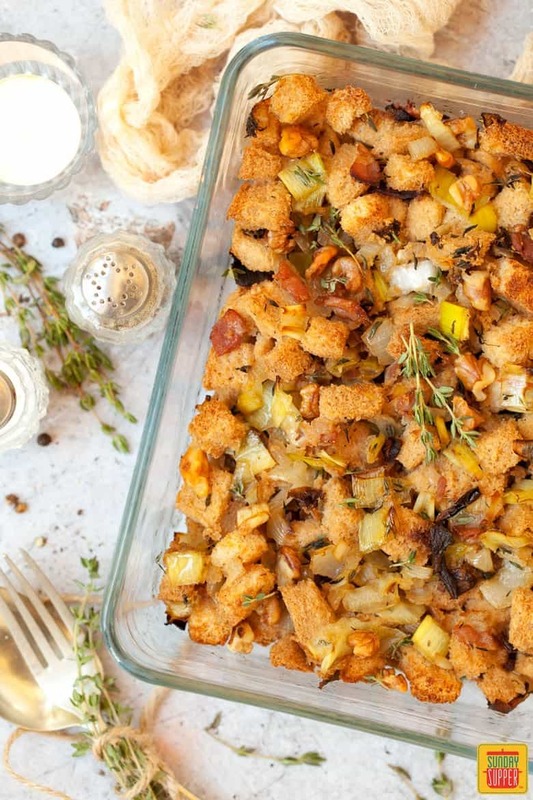 Gluten Free Stuffing: The meaty flavors of bacon and porcini mushrooms are natural partners for the leeks and thyme in this Gluten Free Stuffing recipe! Irish Mashed Potatoes: Irish Mashed Potatoes, also known as Colcannon, are full of flavor and easy to make. 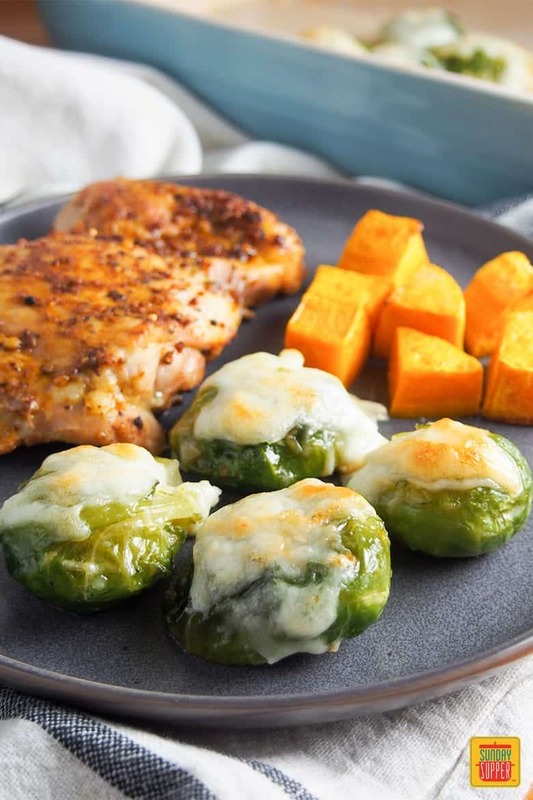 Smashed Brussels Sprouts: Smashed Brussels Sprouts are an easy to make and flavorful gluten free side dish! Brown Sugar Glazed Carrots: Brown Sugar Glazed Carrots are one of the quickest and easiest side dishes you can make. 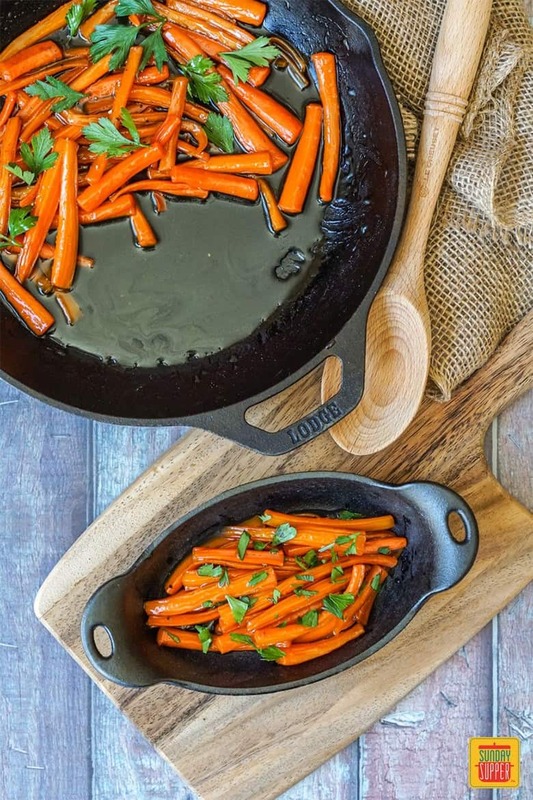 They’re one of our favorite gluten free side dishes! Gluten Free Blondies: These Gluten Free Blondies are made with gluten free flour, brown sugar and your choice of chocolate mixed in! 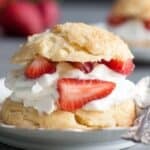 It’s important to offer gluten free desserts, too! 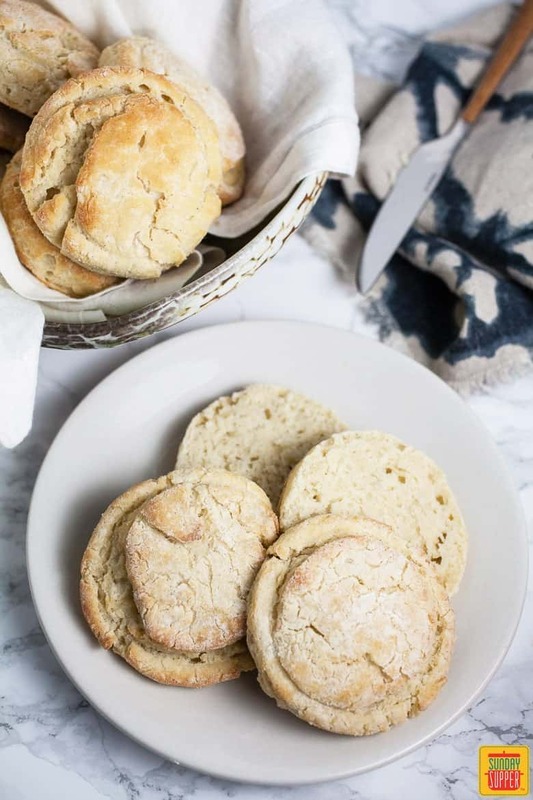 Gluten Free Biscuits: Gluten Free Biscuits are light, buttery, and flaky. They’re easy to make, too! 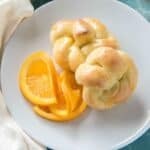 Gluten Free Rolls: These easy buttery Gluten Free Rolls are the perfect company for any dish. 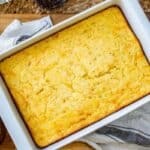 They’re one of the most versatile gluten free side dishes! 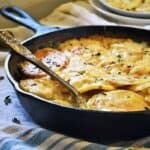 Gluten Free Au Gratin Potatoes: Gluten Free Au Gratin Potatoes is the ultimate holiday side dish. This is hands-down one of our favorite gluten free side dishes for any occasion.